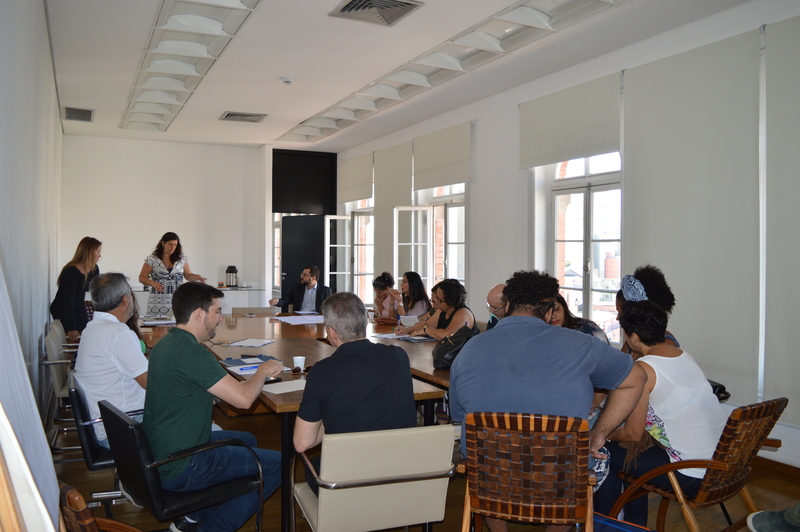 Moving forward with the implementation of the project “Education, Human Rights, and Prevention in Brazil,” the Auschwitz Institute for Peace and Reconciliation (AIPR) organized a training seminar in São Paulo on March 21-24, featuring the participation of 14 instructors belonging to the schools that will be working on the project during the 2018 scholastic year. 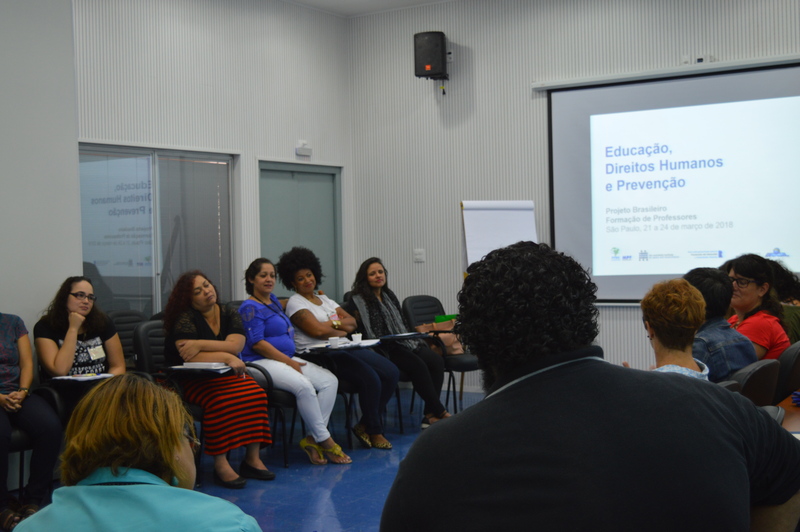 The development of the “Education, Human Rights, and Prevention” project began after a robust consultation process held in conjunction with various stakeholders within Brazilian society. The project aims to put into practice an innovative educational methodology for the classroom which is designed to create spaces for dialogue based on mutual respect, tolerance and cooperation. Additionally, it aims to promote the participation of young people in the learning process and, ultimately, contribute to the broader effort encouraging respect for human rights and democratic culture in Brazil. During its pilot phase, the project will be implemented in a total of seven schools belonging to the public system, with five of these schools located in São Paulo and the remaining two in Brasilia. The training seminar welcomed a total of 25 participants, including teachers, pedagogical coordinators, and project partners (including representatives of the National Secretariat for Citizenship of the Ministry of Human Rights, the Federal Office for Citizens’ Rights of the Public Prosecutor’s Office, and the Secretariats of Education of the States of São Paulo and Brasilia). The main objective of the training was to present the project and the work of the Auschwitz Institute to the instructors who will participate in the initiative, as well as to provide them with the necessary pedagogical and curricular tools for its development. To this end, the seminar was designed around a diverse program that combined several activities, workshops, and conferences to assist participants in their approach debates over identity, diversity, respect, human rights, citizen participation, and democratic coexistence in the classroom. In addition, a fundamental objective of this meeting was to create a network of support among the participants. On the event’s first day, Dr. Clara Ramírez Barat, AIPR’s Director of Educational Policies, gave a presentation entitled “Identity, Diversity, and Discrimination” which examined concepts of identity, stereotypes, and prejudices. The presentation also highlighted the fact that, within broader social dynamics, these concepts can drive situations involving disrespect, discrimination, and even serious violations of human rights. To end the day, the seminar featured a presentation by Dr. Eduardo Carlos Bianca Bittar, Professor of Philosophy of Law at the University of São Paulo, entitled “Dignity of the Human Person and Human Rights: Historical and Philosophical Foundations.” In his module, Dr. Bianca Bittar analyzed the importance of the Universal Declaration of Human Rights from a historical and a philosophical perspective. The seminar’s second day involved the participation of Professor Regina Lyrio (twice awarded with the city of São Paulo’s Human Rights Education Award), who held a workshop session with teachers based on her experience in the implementation of human rights education projects called “How can human rights be brought to the classroom?” During the afternoon, the documentary Lute Como Uma Menina (Fight Like a Girl) was shown. The film depicts the leadership of the students involved in the occupation of São Paulo schools in 2015 and 2016. Following the screening, teachers had the opportunity to talk with Flávio Colombini, one of the directors of the documentary, and Marcela Jesús, one of the members of the featured student movement. This discussion promoted a productive exchange of impressions between the teachers and the participants and highlighted the students’ point of view in relation to education. The day closed with a workshop on Democratic Citizenship and Social Participation, which was facilitated by Araceli Aragueta of the Plataforma Global de El Salvador. The workshop was designed to show how it is possible to transform daily realities through social participation based on cooperation rather than competition. On the third day, Janaina Gallo, a consultant hired by the Auschwitz Institute to develop the methodology of the project, held a workshop entitled “Educommunication and Human Rights.” Ms. Gallo presented “educommunication” as a tool that considers the formation of subjects who are aware of their rights and duties, based on the importance of the media in contemporary societies. Following the activities of the day, Dr. Veridiana Alimonti, Board Member of the Coletivo Intervozes, held a conference on hate speech in the media. Dr. Alimonti addressed the role of the media and stressed the importance of the Internet as a tool for disseminating content, as it has enabled people to access a plurality of sources and opinions, while also warning attendees about the dangers related to the spread of false news and the proliferation of hate speech on social networks. As part of this program, two field visits were made to highlight the power of sites of memory and allow participants to form an emotional connection with history. The first visit was to the Museu Afro, which brings together a vast collection representing Afro-Brazilian culture. 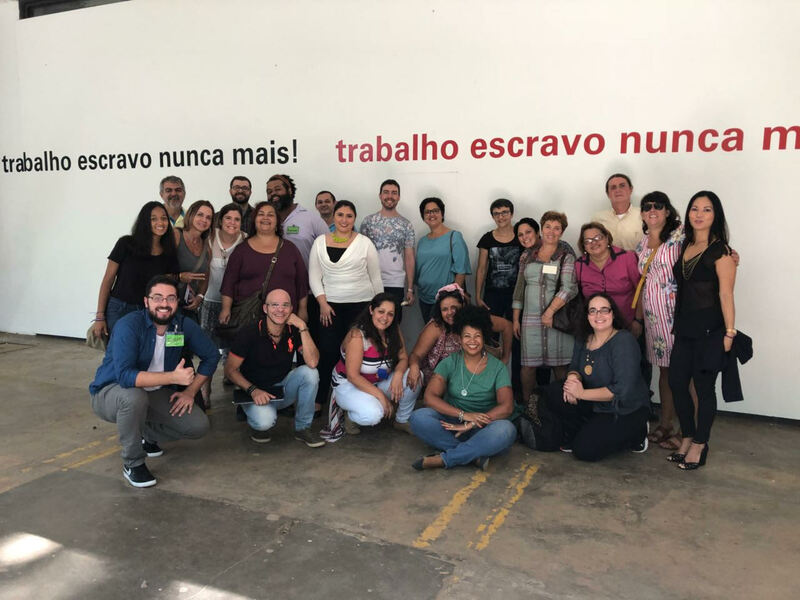 Subsequently, participants visited the Memorial da Resistência de São Paulo, which is dedicated to the memorializing resistance efforts against political repression, especially during the civil-military dictatorship. As a whole, the training met all its objectives, addressing important points of reflection and discussions with teachers about human rights and the appreciation of the democratic public space as an axis for the educational experience of young people. Following the seminar, the Auschwitz Institute’s Educational Policy Program team has been working with the designated public schools in order to officially begin implementation of the “Education, Human Rights and Prevention” project in April. For more information on the Educational Policy Program of the Auschwitz Institute, please visit the EPP webpage here.